When you’re learning what digital marketing is all about or searching for a marketing job, it’s smart to hone your tech skills. After all, digital marketers are concerned with attracting new customers on the Internet, so the more fluent you are in the digital space, the better. Luckily, you don’t need to be a dyed-in-the-wool developer to make it as a digital marketer. You can set yourself apart from other marketers by working on a few specific tech skills for digital marketers. Here are the skills we recommend you add to your toolkit. Basic front end development skills can make you much more effective in your digital marketing job, especially if you work on a small team or are one of just a few marketers at a young startup. Specifically, you’ll want to be comfortable using HTML & CSS. HTML, or Hypertext Markup Language, is a foundational coding language that tells web browsers (such as Google Chrome and Safari) how web pages are structured. If you’ve ever seen something that looked like this <a href=”www.skillcrush.com”> or </a>, you were looking at HTML. CSS, or Cascading Style Sheets, works with HTML to add styles to those web pages. With HTML & CSS, you’ll be able to structure and style emails, make tweaks to landing pages, customize forms, format blog posts, and more. Even if a front end developer works at your company, if you can make changes independently, you won’t end up getting bottlenecked waiting for the tech team to make time for your project. That means you can move quickly and have more control over your work. No more waiting for one developer to have time to add a sign-up button to your email template. Googling “learn HTML & CSS” can yield overwhelming results! In Skillcrush’s Digital Marketing Blueprint, we make it easy. You’ll learn exactly which HTML & CSS you really need to succeed, with step-by-step tutorials that make it approachable and fun. As a digital marketer, your job is to attract new users and convince them to become customers (and repeat customers). Design—specifically user experience and user interface, or UX/UI—plays a big role in attracting and keeping people interested. The look and feel of a site or email (in other words, its user interface) can signal to a reader that the product is for them. And a website that’s easy to use and has great UX (or user experience) can inspire more trust…and more purchases. That’s why, if you want to succeed in digital marketing, it’s worth getting some design skills under your belt. Now, you don’t need to become a design virtuoso, but understanding the basic principles behind good design can take you a long way. That way, when you’re working with designers on your team or hiring designers, you know how to talk to them, what to ask for, and how to evaluate their work. And, in a pinch, you’ll be able to pull off a little design work yourself using tools like Photoshop, or free tools that are great for marketers, like Canva. Where do you start with these design principles? 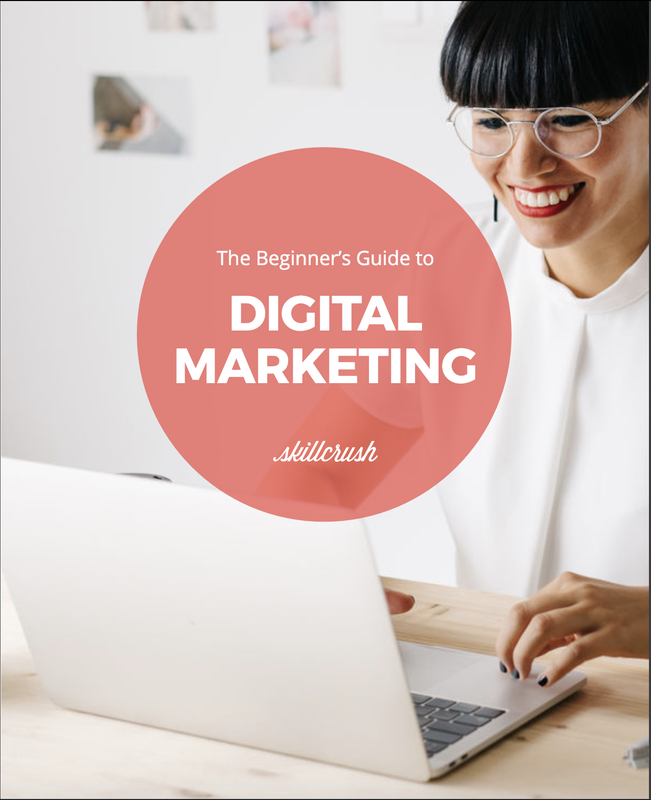 In Skillcrush’s Digital Marketing Blueprint, you’ll learn the design skills every digital marketer needs. To be an effective digital marketer, you need to get comfortable with data. That’s because you have to be able to consult and interpret data in order to track the success of your projects and campaigns. The difference between making $10k and $20k could come down to an email subject line that performs 5% better than another. Or, a connection between an SEO keyword and an email signup form could be the ticket to hitting your monthly KPIs, or key performance indicators. If you work at a large company, there might be multiple data analysts and data engineers, or even a whole department that handles the numbers. At a smaller company, however, most of the onus to track and analyze your work will likely fall on you. The idea of learning data can feel like climbing Mount Everest. To break it down, start with web analytics. 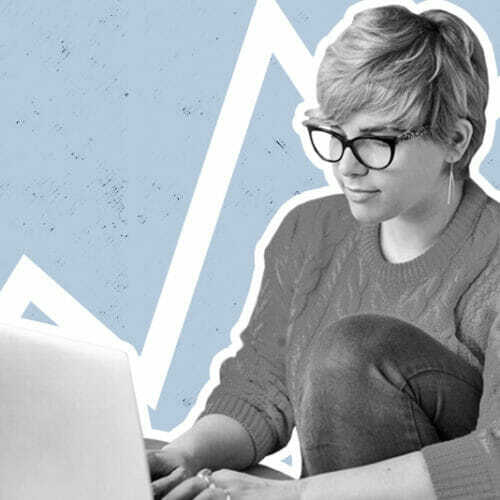 Get familiar with Google Analytics, the industry-standard tool for tracking web traffic and visitor behavior on your site. Once you’re ready to dig deeper, learning a little SQL (Structured Query Language) can take you a long way. With SQL, you can query a database to learn more about large chunks of data. Say you have a database full of user information. You can learn to query the database, or ask it questions about that data—like what percent of your users live in South America, for example. SQL is an advanced tech skill for a marketer, but one that can make you much more competitive on the job market and effective in your role. Still stuck? 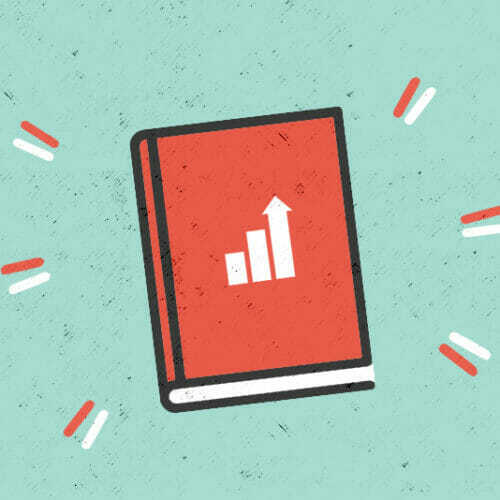 In Skillcrush’s Digital Marketer Blueprint and Advanced Digital Marketer Blueprint, you’ll learn exactly how to set up best-in-class marketing analytics to help you understand your work, make informed decisions, and impress your team (it’s a bonus). You’ll get hands-on practice setting up a system to track your KPIs and dialing in on the most important metrics. Many companies rely on a CMS, or content management system, to do things like publish a blog and create sales pages and forms. It’s common for early-stage startups to use an open-source platform like WordPress for their website, but more established companies often build out their own custom CMS platforms. Either way, being familiar with how these work can be a prerequisite for some digital marketing jobs, especially if you’re working with content. Knowing your way around a CMS means you’ll be able to add, edit, and publish content, add and edit forms, build your own sales pages, and more. To get practice, install a free WordPress site, practice formatting and publishing posts and pages, and try adding WordPress plugins to extend your site’s functionality. Digital marketing can feel like juggling. 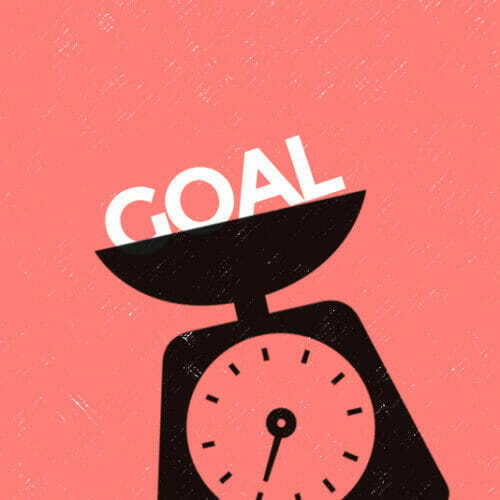 To set up a healthy marketing program, you need to build a system that attracts new customers and keeps them around—and that happens across a variety of platforms, from social media posts to blog posts to emails to pop-up forms to podcast ads. None of them work in isolation. You need to keep them all in sync. So, how do you make sure it all works together smoothly? That’s where marketing automation comes in. With marketing automation software, you can set up workflows and if/then scenarios. For example, maybe every time someone joins your email list, it triggers a welcome email and adds them to a newsletter list. That requires automation. There are dozens of tools for marketing automation, such as popular and robust options like Hubspot and Marketo. 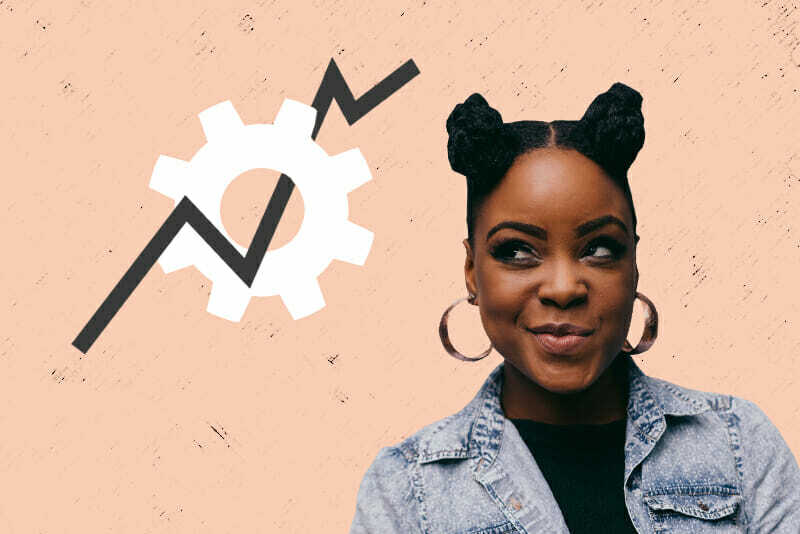 Free and inexpensive email marketing tools (such as MailChimp) offer some automation options, and you can try those for free to work on your chops. It’s smart to get familiar with one or two of these tools, but automation isn’t just about learning software. You also need to understand how all your marketing channels work together, and often be able to create a visualization or flow chart to make sense of it all. A CRM, or customer relationship management tool, can go hand-in-hand with marketing automation. With a CRM, you can track important data about users, like which of your automated workflows they’ve been through, for example. Popular CRMs include SalesForce, and Hubspot’s CRM (it’s free, so you can give it a go). Note that marketing automation and CRM tools are advanced skills to add to your repertoire, often ones you’ll learn on-the-job. Advanced automation experience isn’t typically required for junior digital marketing roles, but automation chops can help you move up the ladder. Beyond basic design skills, a knack for photo and video editing can come in handy in a digital marketing role. As a marketer, you’ll need visuals for almost everything you do, whether it’s a sales video or an Instagram post. Basic photo and video editing skills can save your team money since you’ll be able to handle simple videos in-house (video editors, in particular, can get pricey). And a well-edited photo can be the difference between a blog post that gets a hundred shares and one that people skip over. The great news is you don’t have to learn advanced tools like Adobe Premiere or Photoshop in order to create high-quality photos and videos. There are dozens of free tools for digital marketers out there, including editing apps that make it foolproof to rework photos and videos right on your smartphone using templates and presets. It might seem a bit antiquated, but if you’re learning digital marketing skills, it’s worth looking at some of the less flashy tools that have been around the sun a few times. Microsoft Office Excel and PowerPoint (or their digital equivalents, Google Sheets and Google Slides), can be invaluable to you as a digital marketer. To track and organize data, spreadsheets will be indispensable. You can use spreadsheets to keep track of projects and check off tasks, document KPIs, and even manage content and social media calendars. Learning advanced spreadsheet skills like Data Validation, Conditional Formatting, and VLookup can help you communicate with your team better and stay organized. Similarly, knowing your way around a slide deck presentation can be helpful to you as a digital marketer, because clean and well-designed decks help you communicate with your team more clearly, and earn respect and trust. Plus, a good slide deck is convincing—a great one can help you get your boss or your team on your side, so you can make your ideas and projects happen. Ready to start learning the tech skills you need to get hired as a digital marketer? Skillcrush can help. Check out our training programs for marketers: Skillcrush’s Digital Marketing Blueprint and Skillcrush’s Advanced Digital Marketing Blueprint. 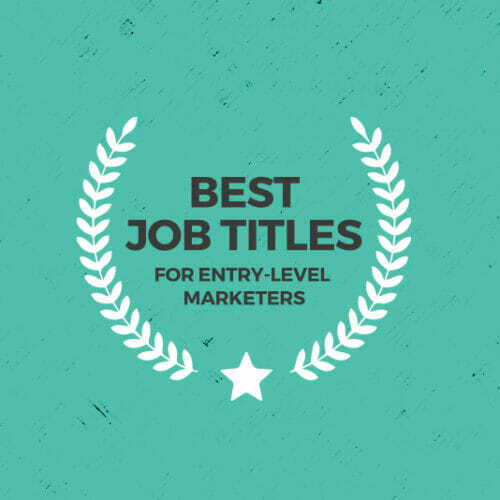 We designed them to get you the real skills you need to be competitive on the job market and a superstar in your job, all with approachable (and fun) lessons, videos, and resources.